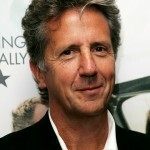 Ilkley Literature Festival confirms first authors for this year’s international programme including a New York Times best seller, Liberty Human Rights Campaigner of the Year and a gluten-free connoisseur from Britain’s favourite baking tent. Thousands of book lovers will once again descend on the spa town for the annual event, the biggest festival of its kind in the North of England. 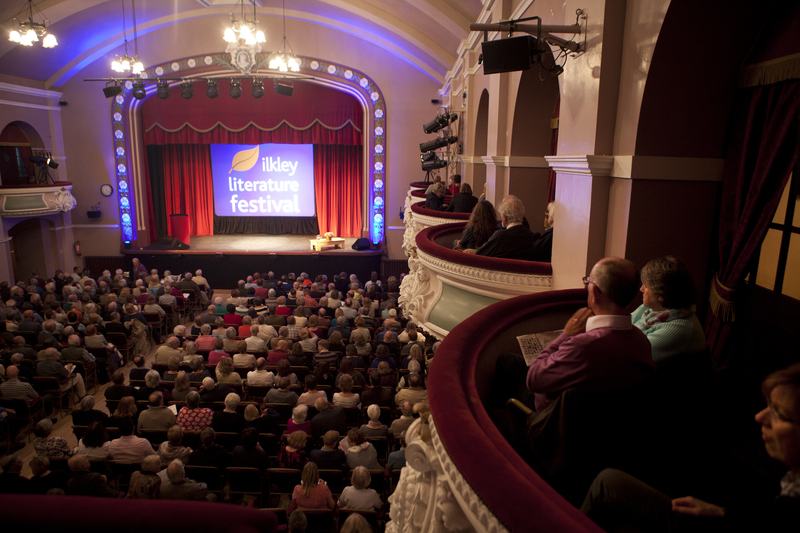 Ilkley Literature Festival, the second oldest literary festival in the UK, will run from Friday 2 October until Sunday 18 October 2015. 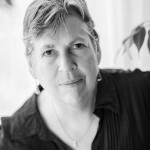 Vince Cable, Karen Joy Fowler, Sophie Hannah and Caryl Phillips are just four of the best-selling authors appearing at the Festival this October. • Formerly MP and Business Secretary, Vince Cable, presents his new book, published later this year, After the Storm, following his the critically acclaimed The Storm. The timely book will offer audiences a previously unreported inside view of the coalition. 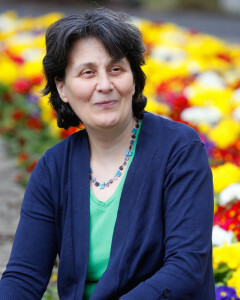 • Karen Joy Fowler penned The Jane Austen Book Club which spent thirteen weeks on the New York Times bestseller list and more recently, We Are All Completely Beside Ourselves which was shortlisted for the Man Booker Prize 2014. • Crime writer and poet Sophie Hannah will be in conversation with James Nash discussing her latest volume of poetry, Marrying the Ugly Millionaire, her new standalone psychological thriller, A Game For All the Family, and her experiences of writing The Monogram Murders, the first Hercule Poirot novel to be published since Agatha Christie’s death. • New York based critically acclaimed Caryl Phillips presenting his 11th novel, The Lost Child, inspired by Emily Brontë’s Wuthering Heights, and set against the Leeds cityscape of his childhood. Ilkley Literature Festival continues to be a prominent bookmark in the festival calendar with a number of authors making their Ilkley Festival debut. • One such author is high-profile campaigner Caroline Criado-Perez, presenting her recently published book Do It Like a Woman… and Change the World, a collection of true stories that introduces the reader to courageous women from all walks of life. • Frances Quinn, winner of the 5th Great British Bake Off television series, presents her brand new book, Quinntessential Baking, to be published in October. The designer was known in the tent for her decorated to perfection bakes and winning the grand final with a three-tier Midsummer Night’s Dream wedding cake. • Fellow baker Howard Middleton will also make his Festival debut discussing his brand new book, to be released later this year, Delicious Gluten-Free Baking: Sweet and savoury recipes for everyone to enjoy. The full programme will be announced on 10 August with tickets to the general public available from 1 September. Priority booking is available from 17-26 August for Festival Friends with the scheme currently open for new members. To receive a copy of the programme guide delivered by mail, audiences should join the mailing list before 1 August. 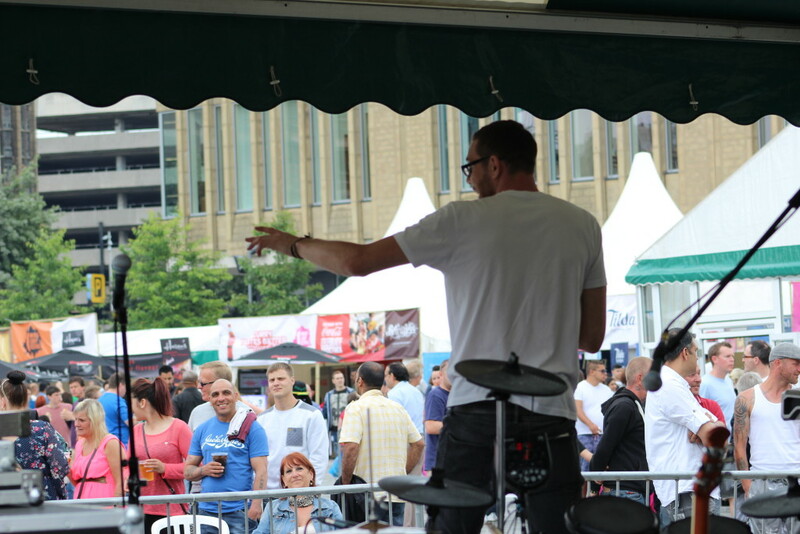 We were sad to hear that the World Curry Festival have postponed their event until later in the year. 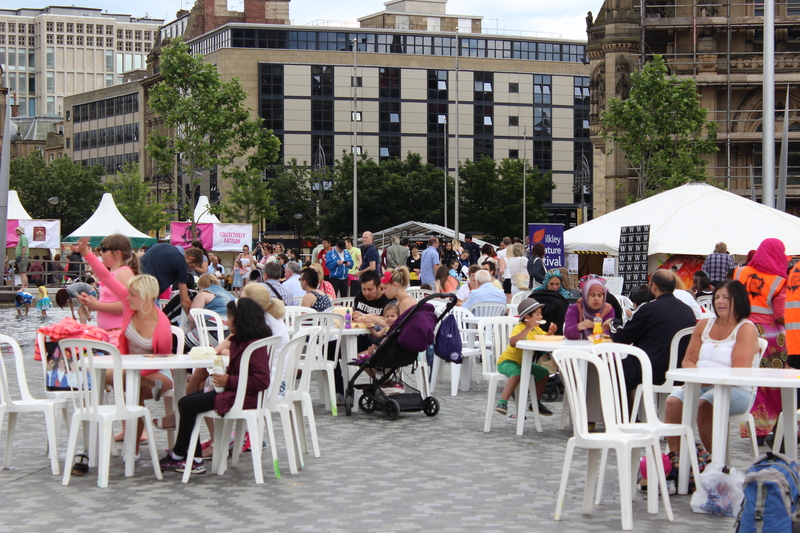 Words in the City will continue on 6 – 7 June in Bradford with a few minor programme changes. 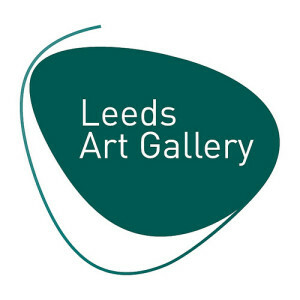 All ticketed events, masterclasses, FREE family events in the Poetry Yurt, the Emergency Poet and Caravan Gallery are taking place as advertised. The Poetry Slam will take place 5.15 – 6.15pm on Saturday 6 June at Watersones, Hustlergate, Bradford. 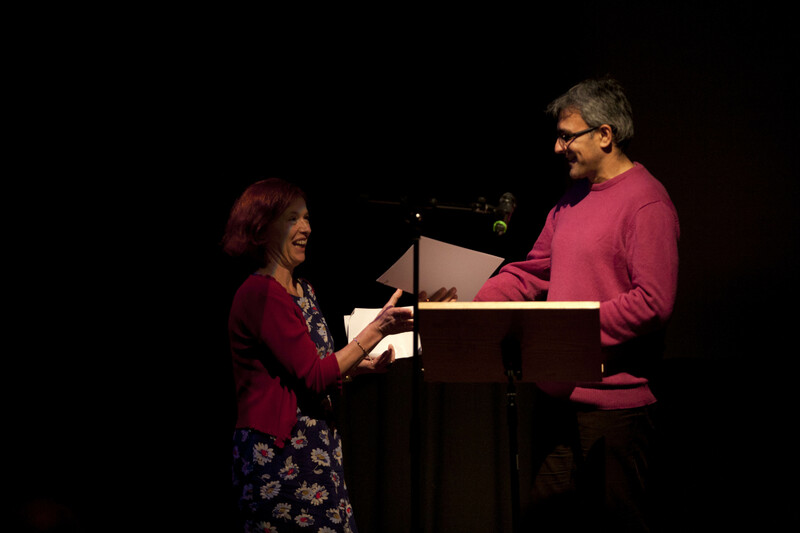 The winners will receive Waterstones vouchers and a slot at the Ilkley Literature Festival in October as prizes. The Sunday performances by the winners have been cancelled. 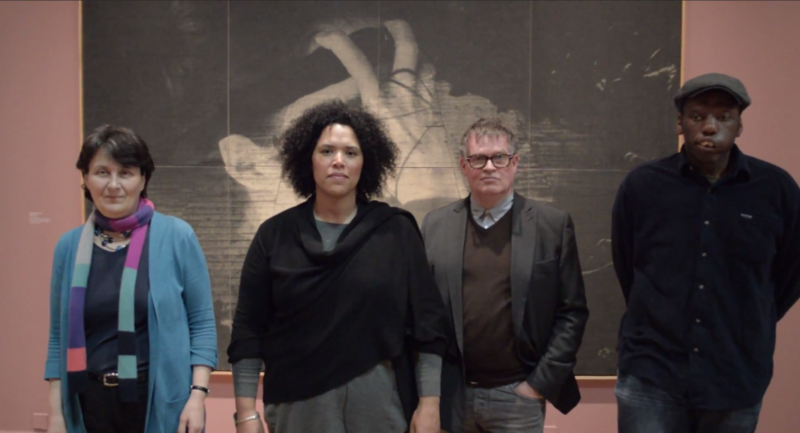 Roundhouse Poetry Collective, Hip Hop and Blake with Testament (we hope to reschedule both performances for the October Festival), Live Wires and Ready Steady Poem. 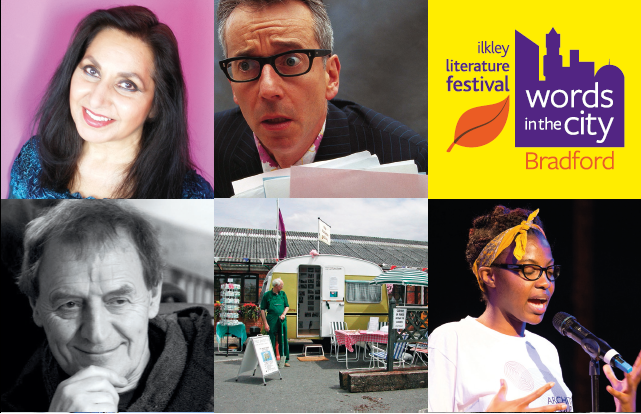 Tickets for Tony Harrison are selling fast but there are plenty more fantastic poetry events taking place, including John Hegley, Jo Shapcott, Don Paterson, Imtiaz Dharker and Zaffar Kunial. Thursday 14 May sees historian David Starkey make a welcome return to the Kings Hall following his sell out appearance at the 2014 Festival. 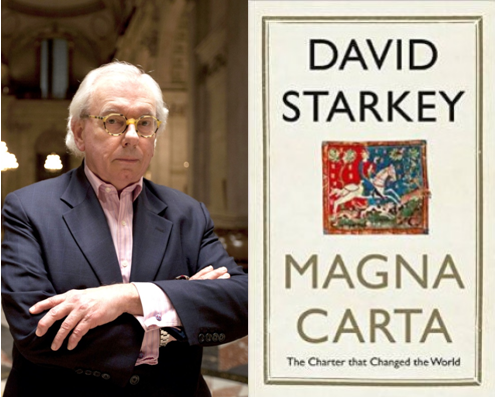 Starkey will be discussing his latest book, Magna Carta, the Charter that Changed the World which explores the history, impact and global influence of the Magna Carta, 800 years on. To celebrate World Book Day Sainsbury’s commissioned a survey to find the ‘Top 50 Books Every Child Should Read By 16’. 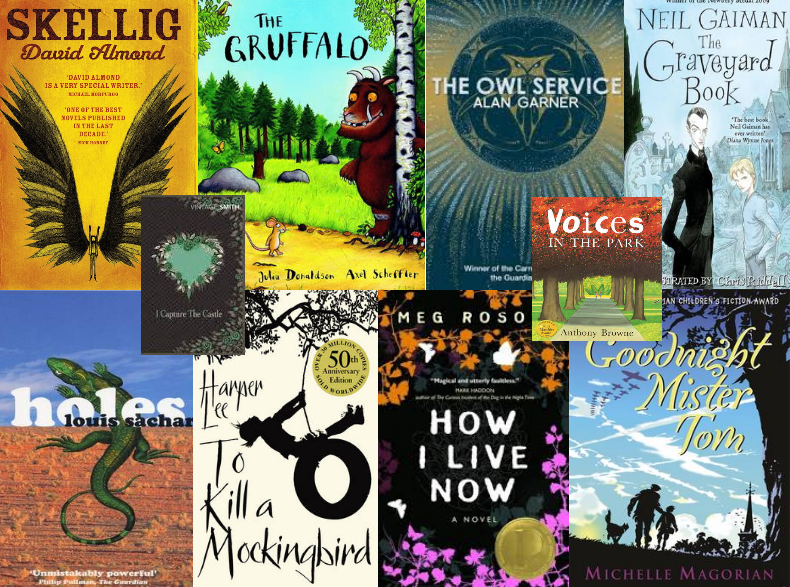 The survey aimed to find the ultimate children’s reading list and encourage bedtime reading. And while there are plenty of great books listed we noticed some of our favourites were missing. If you think we’ve missed anything out let us know!